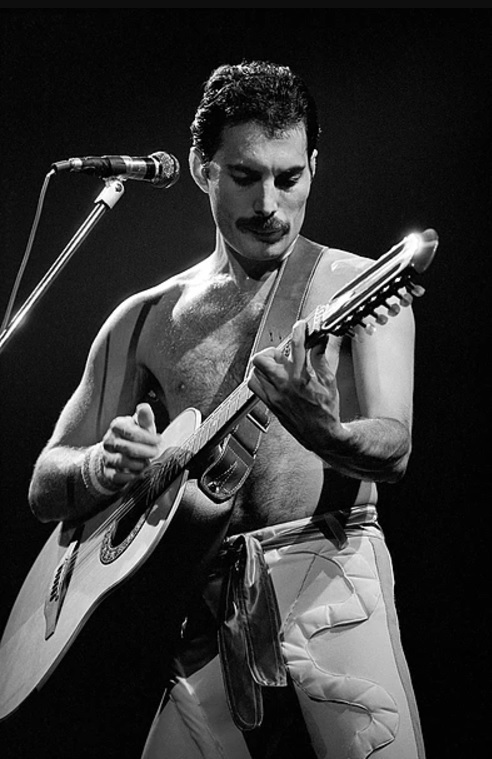 The audience is so enthusiastic tonight that one can only question whether Queen's popularity in the US was declining at all - with only one exception: before Staying Power, Freddie throws the Filthy-delphia card like he did in 1978, and he once again receives a mixed reaction. The abridged version of Body Language has been moved from the encore to earlier in the set. Freddie, after Under Pressure: "One of these nights Mr. Bowie might jump on stage and do it with us." The audience definitely like the idea, but such an event would never take place. It is actually said that Bowie didn't care much for the song at the time, but he would warm up to it in later years, finally playing it live by the mid 1990s. The photo was taken by Scott Weiner. This is another great early tour recording, but it's missing the encores. The beginning of Get Down Make Love is slightly cut for a tape flip.